Aka, the questions that each episode raises and/or answers for me. I don't normally do this. Argh! A/Z really is going to be the most annoying show I'm watching this season, me thinks. Though the jury's still out on whether it'll be annoying in a good or bad way! In a sentence: my suspension of disbelief has been pushed to the max, but what I liked most about the first series is still there, and enough questions have been raised to keep me watching. Time skip of 19 months - as I suspected based on the fact that the in-universe magazine released just before the first cour started was Harmony vol. 8 (August 2014), whilst the ones released on December 27 last year were the two versions of Harmony vol. 25, which would correspond to January 2016. Though I expect that it's a bit later in the year than that. Who's collecting info on the Vers Kataphrakts, such that they even know who pilots each one? Geh...why didn't Yacoym use any other weapons to attack Inaho as he was approaching? He was overconfident and didn't bother attaching any? I'd grown increasingly sure that the princess shown in the PVs and CMs was someone wearing a hologram, especially after the title to this episode was made public, and after Vs/025 suggested that she'd done a 180 upon returning from Earth. But well played Aoki and co.: by being cagey and misleading about Inaho's fate (e.g. the "BOGUS" on the back of his key visual in A/Z Report Vs/024), they distracted us from thinking about the extent of Asseylum's injuries. And it turns out that out of the three, she's the one who hasn't actually recovered. Speaking of Slaine, just what is his objective? I know that he basically snapped when he realised just how powerless he was, unable to protect the one person he had wanted to protect. So what he seems to be trying to do now is to gain enough power to do so - though the person he wanted to protect remains in a coma. But since you could argue that she is in that state because of how her father (and grandfather) instilled hatred and envy of Earth into the Vers citizens as a means of governing them, is he now trying to change that system? I expect that the set-up of this season will largely revolve around understanding what Saaz and Slaine are trying to do. and Eddelrittuo... does she know that Asseylum is in a coma? Has she been assigned to Lemrina against her will? How does she feel about the message that Lemrina is propagating in Asseylum's name? And finally, what else has happened in those 19 months? Where are Marito and Yuki? Inaho's become an ensign (second lieutenant), which is one position above Yuki's (warrant officer) back in the first season. Yuki should have moved up too, right? And since Inaho would have been out of commission and in rehabilitation for quite some time - maybe a year? - there have to been others fighting the Vers knights, such as the twins(?) in the gaiden manga. 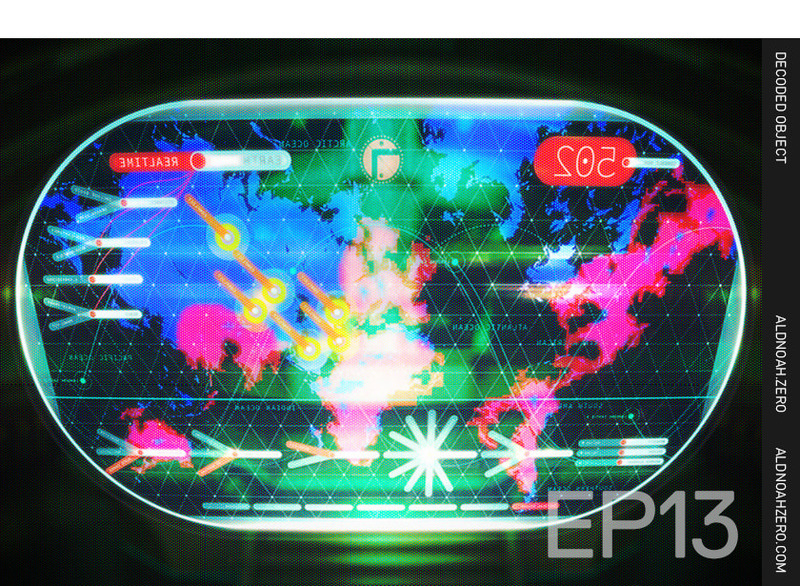 Are we going to hear an update from the Earth side, like we did from the Vers side in this episode? Can we also just get a bit of a clearer picture about how Vers society is set up? An aside about the knights: in the first season, we learned that there are 37 landing castles. But given that there are knights like Trillram and Vlad, who do not have their own castles, there are obviously more than 37 major enemies. Can we assume that it's the Counts like Saazbaum, Feminanne and Cruhteo that have the LCs? So if we assume there is one other Kataphrakt piloting lord attached to each Count, then there are about 70 Kats to battle in total. Inaho and co. took down just four of them (one pilot lived, though the Dioscuria was destroyed, according to the UFE report (Vs/024+Tx/024)) and Saazbaum himself killed Cruhteo. So what's happened to the other 60+ Vers knights? Lemrina can activate Aldnoah drives as well, so presumably a few knights have been promoted to replace those that were lost? We still haven't seen anyone deal with the 'long distance beam' Kat, the electricity-using one (= the bug-like one that was on the ground?) and the 'wired' one... Actually, the wired one was in Beijing, and apparently the UFE has fought back in Beijing! Going back to EP1-2 and adding Saaz's, there are 20 landing castles that have come down to Earth, with one each in Tokyo (Cruhteo and Vlad - Trillram was visiting from Saazbaum's LC; Feminanne's apparently landed further south), Beijing (wired Kat), New Orleans (beam Kat?) and Mozambique (electricity Kat). (Interesting that they said "Mozambique" instead of a city, especially considering that Mozambique is approximately the same size as Japan...). We learn in EP13 that the invasions of the Americas and Africa have proceeded well, but that LCs in Eurasia and the Far East have fallen (see the most recent visual posted on the website after E13 aired). We know that two LCs were taken down in Japan (Cruhteo's and Femianne's) and that Saazbaum's LC was taken down in Russia. Also, the gaiden manga, Aldnoah.Zero Twin Gemini, is about twin knights sent out from the LC from Beijing to attack Sapporo, and the twins that are involved in fighting against them. Inaho's group took down 2 LCs, Saaz killed Cruhteo, and the Beijing one is presumably down too. So what's happened to the 16 other LCs, as well as the 17 that, for all we know, were left in space? Have more of them come down to Earth? edit (2014-01-12): LOL, I forgot about the elephant in the room. I really did not need Inaho to be given Aldnoah activation rights. That was probably what surprised me the most, because I didn't expect them to actually go with this. But I do remain interested in see exactly what they intend to do with the two protagonists (Slaine and Inaho) and the new, relatively important positions they have in their sides of this huge war... To be frank, I actually like that I don't really know where they are going with this! Hey! This is Thess here, by accident I stumbled with your livejournal. I have yet to watch the new episode (absolutely no time, so likely next weekend), but about the timeskip = magazine, I suspect the magazines are published after episode 1, don't you think? That month's issue (exactly 17 months). Trident base in the satellite belt? Perhaps it was created after Heavens Fall or during that time? Does the reason that they haven't told us much about Asseylum's mother have something to do with this? I don't think her mother is important, didn't she die at childbirth? IIRC, they hinted someone else could inherit the throne in one of those Txt from the first half, right? It was supposed to be relevant. Her design concept is cute in the website. Cuter than Asseylum's, but I've always been partial to pink haired mecha princesses. What intrigues me the most is how her relationship with her sister would be. I'm a sucker for family dynamics and it seems like a good idea to get this explored and would do some good to Asseylum's bland characterization if she ever awakes. I can't speak about the rest because I need to watch this, I will keep my expectations low in the Earth side of the story after reading the spoilers. But they were never high to start with (I've always enjoyed Mars side better because the writing in general is a bit better, just a bit). By the way, did you listened to &Z? This person attempted to decipher the Engrish. I think it's futile because Sawano songs are generally nonsense, but it's a noble effort. It's a pity you won't be able to watch the episode for a while, but then again, perhaps you won't feel the pain about having so many unanswered questions if you can watch two of them in a row! wrt the magazines: ...maybe. I mean, it's a possibility they mean it as such, especially since the covers depict the Sleipnir 00 in space. Given all the circumstantial evidence though, I was thinking it might be more likely that they just designed the covers for the issue. But even if it had changed, the August one was clearly "before the war," so if we had a 19 month time skip, then at just 17 months later, the vol. 25 ones couldn't have been released before the start of EP 13. Unless they skipped a few issues because the war had broken out...? Aoki said on the radio show that she died shortly after Asseylum's birth. He didn't specify there whether it was in childbirth or not, and I don't know if it's been discussed anywhere else. Hm...Tx from the first half? Which one? Also, frankly speaking, shouldn't Asseylum calling herself "the FIRST princess of Vers" be considered a hint that there is more than one princess? It is interesting that she never spoke of her at all...had she met Lemrina? Or did she not know of her existence, for whatever reason? Mmm, sounds like a good idea; I haven't checked yet. I would do the same until the last episode, perhaps? Unless it gets just too stupid that makes me drop the show. Time of the invasion: it was probably after Asseylum's birthday, right? She would be 15 because the profile said so, iirc. So you can make a guess using that as your landmark (and the winter uniforms!). Ah yes, that's what I mean. The first 1-12 episodes? The txt previous to them, there was one that mentions a 'challenger' to the throne that hasn't been introduced. Yet. Maybe she doesn't know of her existence? Asseylum comes off as completely ignorant sometimes, so I wouldn't be surprised. My problem with Asseylum is that she became generic peace princess with a dull personality after episode 2 and 3 gave me hope she wouldn't go into that direction. She's just oh so perfect and oh so pure that makes it obnoxious to watch. The way Calm gave a 180º turn of his anti martian sentiment and how nobody of the ship tried to bash her head or her assistant's just made me annoyed. It's really unrealistic behavior. That said, the best news is that she's still in a coma. I just feared she was going to make a peace broadcast that never reached anyone or something like that by the PV. Coma is the best option next to killed as I wanted (Inaho and Slaine should learn to get along by themselves). The writing: my major problem is that sometimes I feel like I'm watching two shows. One with compelling intrigue and drama and another that's taken from Saturday Morning cartoon for kids which bleeds and affects the other side with dumb stuff when they meet. The biggest example was Saazbaum who came as intelligent and cautious, who was defeated by Inaho in a very humiliating way by making him completely out of character in order for this to happen. My two cents. The shift of the mood is very jarring. I wish they had separated the shows. Sawano's insert songs aren't complete gibberish and &Z has an English version, so this is probably it. About the first OP, I've always assumed it was Slaine alone because of a segment about someone who seemly just returned to Earth. Though I can see to add Inaho there too, but he isn't the poetic type of character lol. Yeah…well…the vitriol about Slaine is particularly bad…though Inaho and the creators get a bit of their share too… But let me not say anything more until you’ve seen the episode (and possibly the next one). The text in what? The guidebook? The Animedia special? My problem with Asseylum is that she became generic peace princess with a dull personality after episode 2 and 3 gave me hope she wouldn't go into that direction. She's just oh so perfect and oh so pure that makes it obnoxious to watch. The way Calm gave a 180? turn of his anti martian sentiment and how nobody of the ship tried to bash her head or her assistant's just made me annoyed. It's really unrealistic behavior. What, you mean a lá Fllay or something like that? Personally, when I think about how they know that someone on the Vers side is trying to kill her, wouldn’t you think that only people with a pretty complicated involvement in the whole affair (like Rayet) would be angry at her for being a Martian? Especially after she’d just saved their asses? *Shrugs* To be honest, I really don’t know. I’ve never known people who’ve completely hated another group of people. And for the people on the ship, non of them seem to have had a conditioned hatred for Martians — unlike the Vers side for them. That said, I would actually like to see her wake up and really think about think about what’s wrong with the society her family has created, and work to fix it. But the question is: how in the world would she be able to do that? If we look at real world politics, basically, she needs to have powerful support. Would she even be able to cultivate that kind of support? Or would she only ever be a puppet being used for someone else’s goals, like Lemrina currently is being used? The most powerful person who fully supported her has already been unceremoniously killed — is Slaine trying to become someone powerful enough to support her? Or does he really want to address the injustice that has seen the Vers people become so badly off compared to Earth, thus contributing to the way they suffer under the Vers royalty’s methods of rule? The biggest example was Saazbaum who came as intelligent and cautious, who was defeated by Inaho in a very humiliating way by making him completely out of character in order for this to happen. My two cents. The shift of the mood is very jarring. Personally, I disagree that he was out of character. His emotions got the better of him, which isn’t surprising given who he was fighting against: around 20:10 in episode 11, you can see that he’s pissed off about them using the Deucalion’s Aldnoah drive. Then there’s the usual arrogance with him thinking that his Kat can’t be defeated, not to mentioned how he thought that he’d effectively cornered Inaho before the latter turned the tables on him. Even if you say Saaz is intelligent, to me, that was in his understanding of people (Slaine), not of physics and his own weapons. I’d say that there’s a different kind of intelligence and attention to detail required. About the first OP, I've always assumed it was Slaine alone because of a segment about someone who seemly just returned to Earth. Though I can see to add Inaho there too, but he isn't the poetic type of character lol. I saw people on my twitter feed saying that the first verse seemed more like Inaho and the second Slaine. I’m not really sure myself since I haven’t really looked into it. One of those supplemental materials, iirc. It was translated from a Chinese board with pictures when the show began, but I did not save it. You can still look for it in the old animesuki threads, buried somewhere. What, you mean a lá Fllay or something like that? I mean that these are scared people who are irrational and angry after losing their loved ones and home. It was completely unrealistic they all loved her. Rayet’s disbelief was completely realistic. *Shrugs* To be honest, I really don’t know. I’ve never known people who’ve completely hated another group of people. Anger and panic happen. People would not act like that en mass, there could be dissident. ANYTHING to make the snooze-boring crew more intriguing. They should have at least attempted to mob her and have some other stand up for her. The way they deal with Calm’s racist was almost insulting. Then they should die apart. They shouldn’t depend on anyone to hold their hands and clarify their issues. If peace is relying on one person's existence, it’s not peace at all (wise words from Esther Blanchett, of Trinity Blood, which incidentally has a similar theme to Aldnoah.Zero). Speaking of those... I think I pinpoint episode 8 as the episode I gave up on her. When she spoke to Inaho about why she wanted to make peace with Earth and travel someday… because Slaine told her pretty stories, I was in disbelief. I don’t think the show will explore this, but she was absolutely right this was her fault: a leader who did not know the needs and feelings of her people, a leader who failed to realize she should do things for them rather than pursue a childish whim, a leader who cannot correct her own maid when she is discriminating. Is Asseylum a real leader? The show sends me mixed messages of this because they try to make Rayet ‘misguided’ but she was absolutely right on her accusations from my point of view. Because she was the only one who looked sensible about this, she became my favorite female character. I don’t know about Lemrina, but Asseylum doesn't seem impressive, she's a figurehead they can throw away or martyred, not a real powerhouse who commands respect. To say she wanted to have peace because Slaine’s stories are cool (practically the origin of her dream) is shallow and sadly the show is pushing this conduct as ‘noble’? Now, if they acknowledged this, then Asseylum has potential to be more interesting because she would be allowed to change rather than whitewashing her flaws. Personally, I disagree that he was out of character. Saazbaum leveled down an entire castle in seconds. What stopped him from simplying wrecking Inaho and his allies in less that wasn’t Inaho’s plot protection that made him underperformed for no reason before he was emotional. Never struck me, mostly because the repeated chorus is about someone that flies and takes off (flying) and the one associated with flying in episodes 1-12 was Slaine because of the skycarrier. However it can be generic "someone wants to protect her" song. Do you remember which thread it was in? I mean that these are scared people who are irrational and angry after losing their loved ones and home. You do remember that everyone on that ship had been drafted two episodes previously, right? Not only that, we’re talking about Japanese people, you know, the people who, during the NE Japan earthquake, didn’t actually panic, or get particularly irrational, but rather organised themselves to make sure they could deal with the immediate crisis. EXCEPT for the people who weren’t actually that badly off - i.e. the people in cities further away who, my friend who lives in Tokyo told me, emptied all the shelves of products like bottled water because they feared radiation poisoning. But most of the people in really badly affected areas, from what I understand, did nothing of that sort. Instead, they shared as much as they could, and helped each other. UNTIL they had to try to settle into supposedly 'normal' but unfamiliar routines weeks or months later. I’m not saying that your point is invalid. But I think you’re generalising a bit too much, not only in terms of the actual situation, and also in terms of the society of people we’re talking. When we get a situation like in Infinite Ryvius, I’ll be happy to revisit this debate. But until then, let’s agree to disagree. The way they deal with Calm’s racist was almost insulting. Was Calm being racist? Or was his comment and mind frame born out of anger and shock at his friend’s death? I agree with this line. But I disagree with the notion that people must always sort out their differences by themselves. That’s simply not always possible, and to say that they should then die apart is, to me, nihilistic and an extremely negative and detrimental position to take given the world that we live in. True, hoping and wishing for peace is worth nothing unless one actually works out and deals with the underlying problems that are causing conflict. But is fighting until the cost of the conflict is too high to bear any better? a leader who cannot correct her own maid when she is discriminating. I’m curious: which incident are you talking about here? To say she wanted to have peace because Slaine’s stories are cool (practically the origin of her dream) is shallow and sadly the show is pushing this conduct as ‘noble’? I don’t see why wanting peace because she’s heard about the beauty and wonder of a world so different to hers is necessarily shallow, as long as she tries to understand what the underlying problems of her society are. The word I’d use to describe Asseylum isn’t ‘shallow’, it’s ‘naive’. At least, she was naive for most of season 1, finally realising that her idealistic way of trying to establish friendship wasn’t going to work, and that she didn’t know enough about the problems that had seeded the conflict. And to me, just because she hasn’t said anything about what she understands of her society doesn’t necessarily mean she doesn’t know anything. Although I would agree that she didn’t know enough, I feel that you and several others tend to assume that absence of evidence of knowledge = proof of ignorance. But that’s not necessarily true. So let’s just agree to disagree on that. And I want him to decide what he wants to do based on his own convictions. He levelled someone else’s castle. Did you forget that he was actually fighting in his own castle this time? I’ve always seen the flying in the song as metaphorical rather than literal. Aldnoah-granting through kiss seems like quite an asspull, because the glow-thing didn't happen before, but oh well I never thought the writing was good. Who was Asseylum pointing her gun to OP mystery? Solved in this OP. 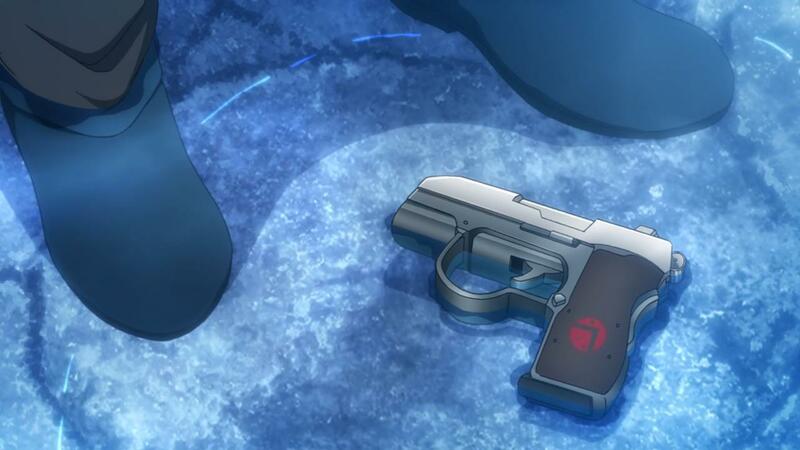 Because Inaho's in her same 'world' and at his feet, when Asseylum vanishes, lies the Martian gun she was holding. That OP seems to kill off Asseylum, as if she was watching over as ghost. No Differences played for Inaho and Slaine no less. I have more criticism but heck, I'm enjoying so much the MARS focus. Episode 13 and 14 have been a treat in this. I absolutely love Lemrina. She's cunning, she's assertive, she's cynical, she knows what she wants, she has issues, so much unlike the boring and bland Asseylum. She stood up to Saazbaum when her sister's authority was walked over by Eddelrittuo. I don't see her at all as a pawn, but someone who is using people in turn. Speaking of Eddel, she's more mature and I'm glad she warmed out to Slaine in Asseylum's absent. It's nice to see Rayet closer to the group now and she seems to support Inko's feelings for Inaho. Yuki and Marito missing, too bad because Yuki is great. Inaho's resurrection scene was so corny that destroyed the touching sister/brother stuff I liked so much, nonetheless it was good. Seagull = Slaine laying it thick to my analysis of "thriving together" in the end. Okay! Good. I was also considering not continuing because of agree to disagree. Let's see... 13, I think my biggest problem wasn't even Inaho's ridiculous return, because I kind of expected some BS to explain it, but actually how he defeated Yacoym. That was single-handedly the laziest and worst mecha battle I've seen in years. I know they were aiming for Inaho to appear a "badass", but honestly? If he needed the enemy to stand still for ten minutes without making any move while he attacked? He looks kind of weak and unimpressive. I miss battles that took team effort like against Hellas and Nilokeras. They seem to have dropped this on favor of invincible Inaho and it's honestly... more boring this way? It's my opinion because I enjoyed those battles. I suppose, but he also started going more and more solo with Vlad, but the 'let's do this' team battles and impossible odds that appear as impossible odds created more suspense and made the battles enjoyable... Femmiane who nearly kills both Inaho and Slaine came as formidable. Yacoym looked like a joke straight out a cheap shounen. The decay I feared with Saazbaum's jobbing has completed in observing what happened in episode 13 and 14. Sure, Slaine sadly seems heading to the same direction of carrying on the entire war (as a side effect of fated ~soulmate/rival/comrade~ with Inaho), but at least they actually shot some grunts before Slaine came to their rescue. Meh. Let's hope that the Decaulion wouldn't start jobbing to make Inaho shine next. I liked how Inaho's plan actually failed in the end of the first half and Darzana was the one who had to think fast before Saazbaum killed them. I can't blame the writers for not always being able to write team battles. Some of the abilities (e.g. Vlad's) really do require one person to take the brunt of the fire. I actually respect them for managing to write most of the battles as centering around the team - as a few of them have commented, it's actually far more difficult writing a team battle than a one-on-one! I've noticed that the juxtaposition carried on some of their scenes. Inko with Inaho and Rayet making a commentary; Lemrina with Slaine and Harklight making a commentary. It's ok, I'll be likely out until tonight, still busy as hell. Overall, I enjoyed episode 14 more in general. Maybe because we got some insight to some of the characters. My main complain, besides the little tasteless over glorification of Slaine and Inaho as 'solo' pilots, is the overuse of the dating joke. It wasn't funny the first time they made it.